Dude, Jason Kipnis, Are You Sure You Can Play On Your Sprained Ankle? 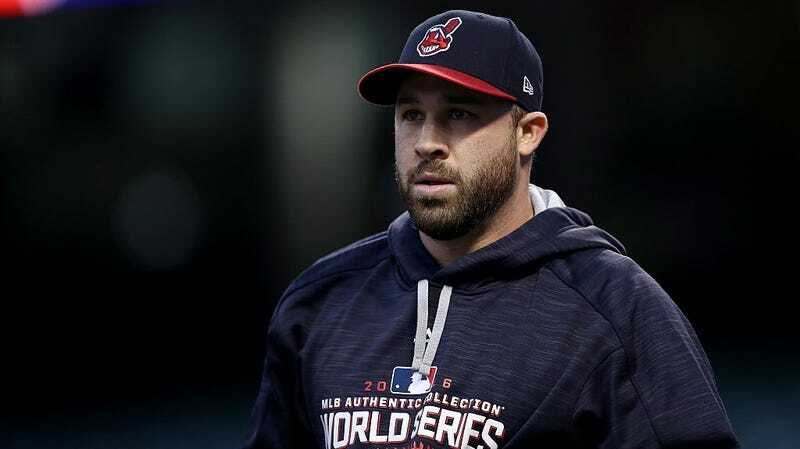 Cleveland Indians second baseman Jason Kipnis sprained his ankle celebrating the Indians winning the pennant, but he says he should be good to play tonight in Game 1 of the World Series against the Chicago Cubs. MLB Network anchor Heidi Watney tweeted (and then deleted) photos today of Kipnis’s ankle, and folks, I have bad news: the photos are gross as hell. I know that ballplayers love to show their grit and resilience and Toradol is still not on MLB’s list of banned substances, but damn, dude. That ankle is extremely busted. It looks like a hamster crawled beneath his skin and took a tiny hamster nap. Between this and pitcher Trevor Bauer’s drone injury—which he swears will not be a problem on the mound this series—the Indians are looking to certainly out-nasty the Cubs this week.